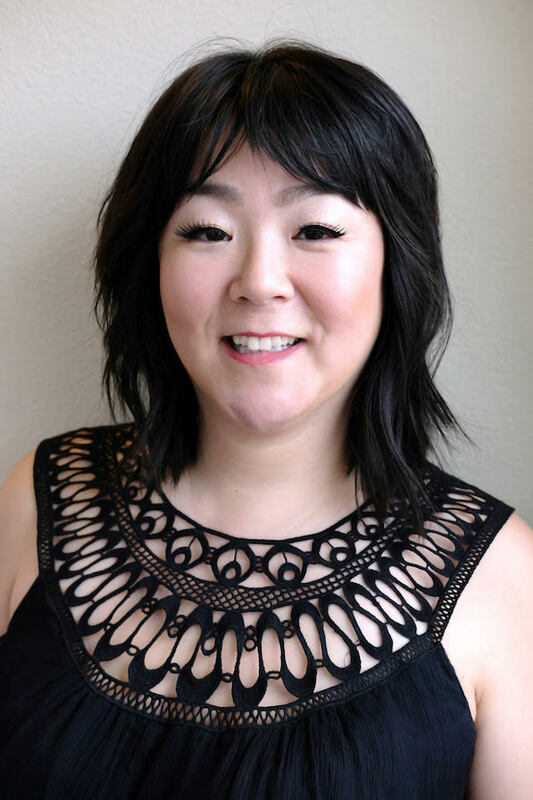 I’m a mother of two boys in 4th & 1st grade, I’m a Korean American immigrant, Transracial adoptee who immigrated to America at age 6 and raised in the midwest. I came out to the PNW in 1993 to attend the University of Puget Sound for undergrad. I have lived and worked in Korea and Brasil and feel both these cultures in my spirit and seoul. The last twenty-one years in Seattle have been an adventure and an honor serving the south end community through youth and family non-profits, mental health and education equity. And now as a mother, I can connect and engage families of color to build a loving community through resource sharing, racial justice organizing and parent support. What inspired you to create Families of Color Seattle (FOCS)? The catalyst for FOCS was when I became a parent and we didn’t have an intergenerational family support system, as our families all live in the mid-west and Hawaii. We also had 10 years leading youth leadership programs, creative arts community and local social justice movements, and wanted to raise our children in a community of social change values and dynamic parents of color. In the last five years as a non-profit, FOCS has been part of the local and national movements for undoing racism with Black Lives Matter, education equity, economic impact and WOC leadership and maternal wellness. We are connecting parents and building a loving community of families of color. What is one of your biggest challenges as an entrepreneur? Our biggest challenge has been prioritizing a few key issues as we find our families need so many resources to thrive, need more opportunities to gather and dialogue, desire arts as liberation and need more parent support during pregnancy and post-partum as we raise our children of color together in one of the whitest city with the highest cost of living in America. Growing as stakeholders in impact areas of equity for families of color in the region, we find the demand for our services and leadership exceeded our capacity. As the founding executive director, my learning curve has been fascinating and essential in growing executive management skill sets as WOC leader in the non-profit sector. Fortunately, our founding WOC Board of Directors had immense skills in accounting, legal, project management, and website development. We were able to find beautiful community partners in Open Arms and currently, Rainier Valley Corps to build our capacity as fiscal sponsors and operations support partners. Through the incredible gift of our Rainier Valley Corps Fellows and Master of Social Work interns from UW School of Social Work, we are a strong team of POC changemakers with determination. Fundraising has been innovative, a fun challenge and a true honor that families believe in us, donors give so graciously and our community is leveraging their economic power for FOCS families! What can families of color look forward to as a part of the FOCS community? Parents and children in our FOCS community can enjoy and build meaningful relationships through our 8 week parent support groups with their newborn and waddler children. They learn parenting skills around breastfeeding, self care i.e. yoga, Black hair care, infant massage and discuss topics on identity, racism, community, equity and parenting without borders. They find sisterhood, consciousness, activism, love, confidence, affirmation, tools for undoing racism, advocacy, and belonging. We have monthly potluck gatherings, arts as liberation workshops, FOCS ARTS FESTS, parent parties, and a beautiful community of POC and their children will find representation, reflections, and little brown and black children as new friends. My biggest inspirations are WOC big sisters and elders in our community. They weave their stories of resistance into the historical fabric of Seattle’s songs of freedom. The Estella Ortegas, the Diane Narasakis, the Janet Soohoos, the Aiko Betheas, the CC Gardner Gleasers, the Paola Maranans, Martha Choes, The Velma Velorias, the Mary Yus, Rita Greens, Dr. Debra Sullivans, Senator Pramila Jayapals, Sheila Capestanys, the Emijah Smiths… they have so much courage to speak power to truth. They give us their breath, their wisdom and show how loving this revolution is. They show us how the people united will never be divided. Helping to amplify and uplift more WOC voices and leadership (like you are doing! ), seeing my two boys thrive in soccer and music! Traveling to Korea in July with my adoptive American parents and Korean brother and his son. We’ll see 5000-year-old history together, enjoy the best Korean food in the world and perhaps put together more pieces of the puzzle that is my story of origin that has been lost. I’ll do a blood test this trip back to Korea and perhaps more of my unknown childhood past will be uncovered. My only and first known blood relation was when my son Jahyoo was born, who is now almost 10 years old. I love all the creatives in Seattle, who tell their family’s story through world music (Shabazz Palaces), traditional foods (Hood Famous Cafe & Bar), modern and timeless dance (Tracey Wong), power of the spoken word (Youthspeaks), classic and provocative film (SAAFF), and the written narrative of POC authors (Ijeoma Oluo)! Read Revolutionary Mothering, put the phone down, sing with your children, and find community with those who bring laughter, feed you, and love your children. They need to see reflections of themselves in their friends, educators, community and role models. Watch Blackish and check your anti-blackness, talk to your children about Black Lives Matter and families seeking asylum and always teach your children your family values of solidarity, smashing patriarchy and anti-racism. Find FOCS on their website, Instagram, and Facebook. For families of color parents, please feel free to join the FOCS Facebook group.